How do we help students and teachers use portraiture to embrace, develop and demonstrate international-mindedness? 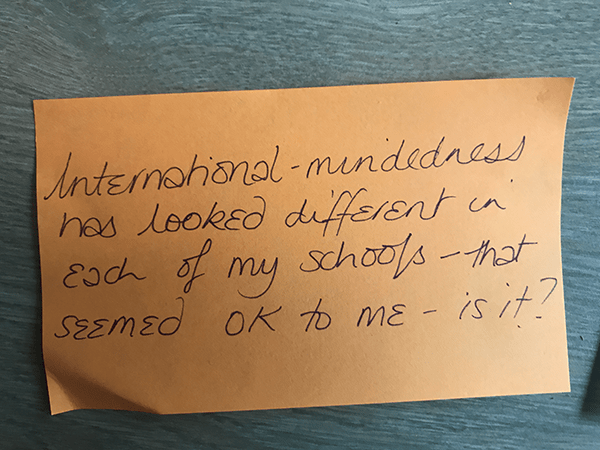 International-mindedness means very different things to teachers, parents and students around the world, so how do you analyze how an individual develops an internationally minded outlook and behaviours? Therein lies the challenge that the IB and Veronica Boix Mansilla (principal investigator at Project Zero, at Harvard Graduate School of Education, in the USA) are exploring through portraiture. We may think of portraiture as the art of painting, or depicting a person with aesthetic intent. This isn’t always the case, however. Below, Boix Mansilla, who is also chair of the Future of Learning Institute, explains how portraits of IB students using video, visuals or narration give a real sense of what international-mindedness means, and how it is interpreted across the global IB community. Sophie-Marie Odum (SMO): Tell me about your relationship with the IB? 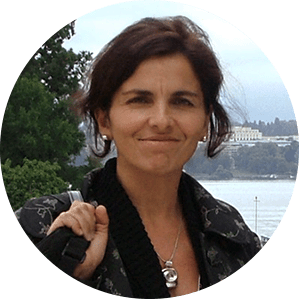 Veronica Boix Mansilla (VBM): Through our research at Project Zero, an educational research center at the Harvard Graduate School of Education, I partnered with the IB for two decades in multiple ways—all very inspiring. I joined the Middle Years Programme (MYP) advisory group in the 1990s. We developed the interdisciplinary approach to the MYP; we worked on a publication about teaching big ideas in the disciplines; and we created the World Studies Extended Essay. More recently a wonderful partnership between the IB and Project Zero is enabling IB teachers to take Project Zero online courses as part of their IB professional development. I really enjoy working with IB teachers around the world: we share a conviction that we can build more sustainable and inclusive societies through education. SMO: How did you develop portraiture? VBM: Our collaboration stemmed from an amazing conversation with Jane Drake, Head of Curriculum Innovation and Alignment at the IB. We were deliberating about how we could genuinely analyze international-mindedness. It is relatively easy to assess students’ writing or reading skills. International-mindedness is a more challenging construct to assess, especially if we agree that a strong international education seeks to nurture and expand students’ world views in long-lasting ways rather than merely train this or that skill. How do you assess who a person becomes? That’s a challenging endeavour. I had been playing with the idea of portraits for some time. The idea emerged when working with a teacher in the Portland Public School in Maine, USA, who had a number of refugee children in her class whose culture she didn’t understand. She was concerned about her capacity to engage a girl from Somalia without being disrespectful or stereotyping. She worried that she would not know exactly what to say if the girl opened up about the trauma of leaving Somalia and landing in the USA. So, I invited the teacher to interview her Somali student. We wondered whether meeting her family would give her a fuller picture of who this girl was. I was surprised by how much the interview helped the teacher feel more at ease, and better prepared to teach this child, whom she was now seeing as a full person, enriched by her refugee and newcomer identities, curious, empathetic, and able to see complexities in the world- and visibly developing an international outlook on the world. Since then, with my research team, I have been experimenting with portraits large and small as a way to anchor our reflections in education on the realities of the children we serve. It’s a way to capture that intangible je ne sais quoi that we call international-mindedness. 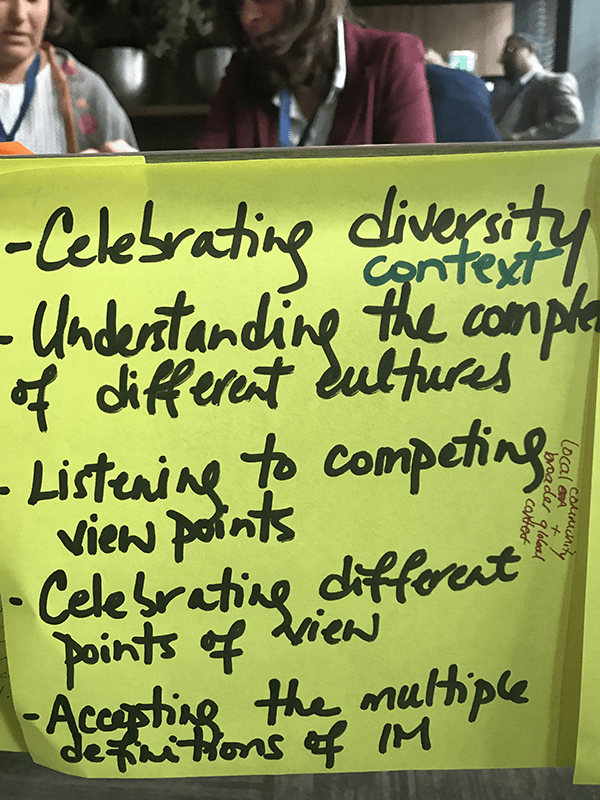 The IB community shares a view of international-mindedness that brings to the fore multilingualism, intercultural capacities and global engagement. It has qualities described in the IB learner profile. Very often teachers ask for concrete ways to grasp the meaning of these qualities. What does international-mindedness look like? How do I know we are moving in the right direction with our students? How does international-mindedness vary across cultures? In fact, international-mindedness is a powerful and elusive construct that can mean different things to different people. International-mindedness can be expressed in different forms. You may see it in one student’s empathetic commitment to human dignity and civic action, and in another’s passion for global trade and economic dynamics. International-mindedness is also situational, in the sense that we may orient ourselves more internationally in certain situations (say, when selecting the articles to read in the morning newspaper) and not in others (such as when we are chatting about dinner with a friend). So how might we capture this? Portraiture, which we could think about as a newcomer to the field of international education, is an approach that invites us to create a rich and multifaceted depiction of a student. SMO: How does portraiture work in practical terms? VBM: The essential idea is that a portrait serves as a common platform for us to think together about international-mindedness across different contexts. A portrait is a video, a visual essay, or a story that captures a single student’s identity, outlook on the world, and experiences. It reveals their own account of who they are: their passions, activities, social groups, aspirations as well as the accounts of others who know them well. The idea is that you can invite a group of teachers, parents or students to explore the portrait and have a conversation about it. The conversation begins by defining international-mindedness in personal ways prior to viewing the portrait, and then invites analysis of the portrait. Perhaps the most important aspect of this portraiture approach is that is does not assume that the meaning of international-mindedness and our aspirations for our students will be the same across cultural contexts. Rather, the portrait serves as a shared platform for rich, culturally respectful conversations about our aims for young people. SMO: What might a portrait look like and how can it be used? VBM: An example ­I presented at an IB global conference last year was a portrait of Anabelle from the Washington International School in the USA. Annabelle is very committed to women’s empowerment and had decided she wanted to dedicate her life to addressing this issue. While she is quite exceptional in her courage—this is a student who decides to spend the summer in Rwanda by herself—at the same time she’s a normal, average young woman who likes to go out with her friends. There’s something completely non-heroic about who she is. Different cultures will have different takes on a portrait like Anabelle’s. For some, the decision of a young woman to travel alone would be unfathomable; for others, a strong marker of strength and independence. Within a single school, teachers may bring different perspectives. For example, at Anabelle’s own school the conversation led us to wonder about the degree to which international-mindedness is a construct of privilege. The discussion was entirely different in China, where teachers were inspired by Anabelle’s story and yet puzzled about why a young woman her age would feel a sense of responsibility to address inequalities in a country so far from her own. I can think of a few ways in which a portraiture approach can be useful in schools and I am sure your readers will think of more options. So, for instance, in some cases it may create inclusive learning communities among teachers. Other schools may create a collective sense of the kinds of persons it seeks to nurture. Still others may use it to understand parents’ aspirations for their children in more concrete ways. Others may choose to invite students to create their own self-portraits as a novel approach to international-mindedness and self-expression. IB educators can look out for materials that will be released in 2019 to support the idea of portraiture and other ways to embrace, develop, demonstrate and analyse international-mindedness. The materials are developed with Veronica and many educators across the IB global community.